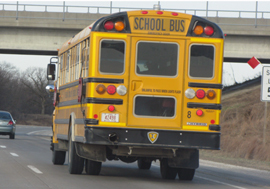 This report summarizes the evaluation results of an in-use fuel economy evaluation for two plug-in hybrid school buses deployed in two different school districts in Iowa. Each school district selected a control bus that runs a route similar to that of the hybrid bus. Odometer readings, fuel consumption, and maintenance needs were recorded for each bus. The buses were deployed in 2008.